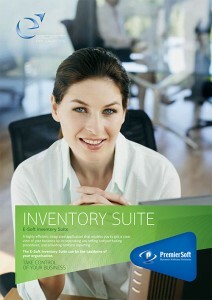 The Inventory Suite system is a comprehensive package that enables you to get a clear view of your business by covering all aspects of stock control, sales and purchases. It enables you, easily and cost-effectively, to monitor any activity ranging from dealings with suppliers, pricing agreements, stock in and stock out, costing, and management of day-to-day sales. The system provides full statistics and information reporting on all related fields, and alerts on any issues that require special attention.